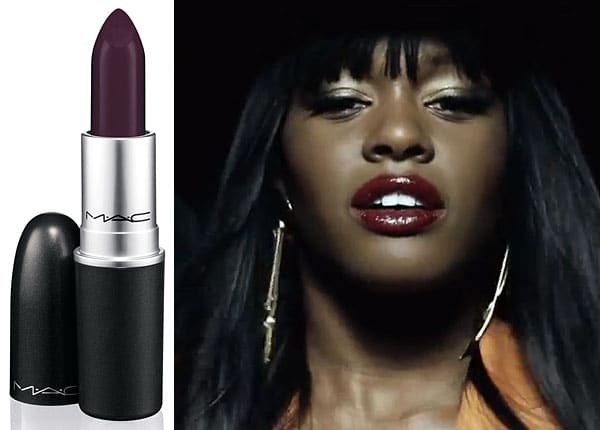 Move over Nicki Minaj and Lady Gaga, Azealia Banks is now joining the M.A.C. Cosmetics family! Style Blazer reported that the Harlem rapper, singer and lyricist will brand a new lipstick shade with the cosmetic empire. The “Yung Rapunzel” shade is a deep plum in a matte finish, and should go perfect with any aquatic or earth tone colors. The name and color should definitely compliment her outgoing style and dramatic look, not to mention her long locks. “Yung Rapunzel” will be available in sores by September 15th , retailing at only $15. Now that’s what you call a bauce.